Thanks to Internet banking or online banking, you can now handle most of your banking needs without visiting the banking hall. Internet banking services bring the bank to you. It is easy to use, convenient, and offers you 24/7 access to your bank account. But is it safe? Internet banking is as safe as you make it. Your login details is a major target of identity theft schemes. Like with ATM cards, anyone with your login details can access your account and depending on the persons knowledge, can steal your money or at least cause a malicious damage. So knowledge of security for banking online is essential. Most banks in Nigeria now offer Internet banking services to their customers. Granted, some are there to make up the numbers, but a few are good. Some of the leading Nigerian banks with Internet banking platforms include GTBank, Zenith Bank, Access bank, Diamond bank, Stanbic IBTC, UBA, and FirstBank. Internet banking has come a long way in Nigeria, from the early days of offering limited banking services on their Internet banking platforms to today when almost all banking transactions can be closed online. The most popular banking services offered by Nigerian banks on their internet banking platforms include: viewing account balances, viewing account activity/statement, checking exchange rates, Transferring funds between your accounts within the same bank, and paying bills and taxes. By buying an Internet banking security token from your bank (if they offer one) or using one-time passwords, you will be able to do third party transfer to other accounts within and outside your bank as well as exchange foreign currency to Naira on your internet banking platform. All these you can do in the comfort of your home or office or even while on the move. However, some Internet banking platforms of Nigerian banks still leaves out some essential services, for example new account applications, currency exchange, cheque book requests, ATM/Debit/Credit card requests still require a visit to the bank. However, Nigerian banks like GTbank offer these and even more services. In the past, some banks did not offer the needed security like on-screen keyboard on their Internet banking platform, but hopefully this has changed. Despite these little drawbacks, Internet banking is still recommended as it enables you to conveniently access your bank account and perform banking transaction from anywhere almost 24/7. You can also checkout Mobile Banking. To improve security, a third factor (the human factors: what you are), requiring biometrics (iris scan, thumb print scan) may also be added to your platform, though this is not common. Banks sometimes offer limited Internet banking services with 1-factor authentication, requiring only your PIN or log-in password. If you are using 1-factor authentication on your Internet banking platform, you will not be able to do third party transfer of funds from your account to other accounts within and outside your bank. With 1-factor authentication, you can transfer money between your accounts within the same bank. This is the case with the GTBank platform. Your bank may also offer a security token, which will increase your security to 2-factors authentication. With your PIN and security token (2-factors), you will then be able to do third party transfers and change foreign currencies with your internet banking platform. With your security token, the GTB Internet Banking platform empowers you to do more transactions. 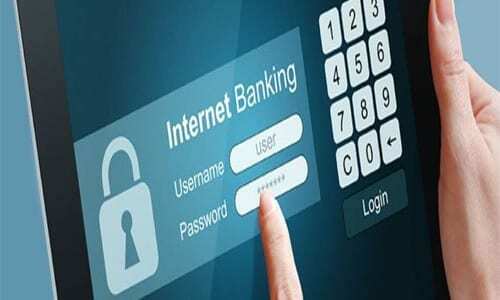 Some banks will use One-Time-Password, instead of security token on their internet banking platform. If your bank uses One-Time-Password on their banking platform, a password will be sent to your mobile number via SMS to authorise certain transactions. You will then have to enter the one time password into the platform to authorise that particular transaction. With a GTB security token, you can transfer from your account to other GTB accounts and accounts belonging to other banks. You can sales foreign currency in your DOM account and have them transferred to your Naira denominated accounts using the GTB internet banking token. The token also empowers you to do standing orders to both GTB accounts and other bank account. In fact, with the token from GTBank the only reason for visiting a bank or ATM will be to make a personal cash withdrawal or deposit. A security token is a small device that enable you prove your identity (authenticate) electronically. It may or may not be connected to your computer. Security tokens connected to your computer (via RFID, USB, NFC, Bluetooth) transmit a unique number that identifies you to your computer. This number is changed frequently within an internet banking transaction. Some security tokens do not transmit automatically to the computer, they simply display a unique number, which you enter manually in the appropriate field in your internet banking platform. The GTBank security token does not transmit automatically. It just displays a random number, which you must enter within a short time or you will be required to retry the transaction. An Internet banking platform will usually offer an On-screen keyboard for entering your PIN. An on-screen keyboard offers some security, as they prevent keyloggers from capturing your PIN. A keylogger is a malware installed in your computer by hackers to capture key presses on your keyboard, and transmit to their site. They can then use this information to access your Internet banking account. By avoiding the use of a keyboard for entering your PIN, an Internet banking platform with on-screen display, provides additional security. However, some banks in Nigeria do not offer, on-screen keyboards, making their internet banking platforms less secure. GTB platform offers on-screen keyboard. Despite the security risks, Internet banking is recommended for all, especially if you have your own internet access. It makes banking easy. The benefit of Internet banking is convenience. You can handle most of your banking needs in the comfort of your home or office. You can access your bank account 24/7 (some transactions may not be available 24/7). 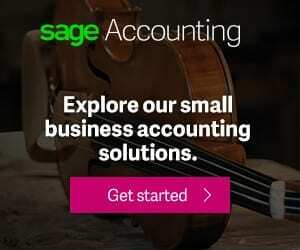 Check Interest and Exchange rates from anywhere. Assuming you just wrote a cheque to someone but do not have enough money in your current account, you can use your Internet banking platform to transfer funds from your savings account to your current account, in the comfort of your home or office. This ensures that the cheque does not bounce, saving your credibility. You can also transfer funds from your domiciliary account to your MasterCard or Visa debit card account without leaving your home. If you have security token, you can even transfer funds to your clients on your platform. Sit at home and check whether that money you requested have been sent or whether that cheque has cleared, No need visiting the bank until you are sure. Online banking services will save you time, if you have internet access you should ask your bank for the service today, however GTB, Stanbic IBTC, Access Bank and Zenith bank have very good reputation. Internet banking requires internet access. It is preferable that you have your own internet access, as accessing your platform from a cyber cafe can be risky. You also need a fast network, as most banking platforms require speed. If you are using a GSM network make sure you are on EDGE, but at list 3G will be best. You can use GPRS if that is what is available, but the user experience will be poor. You will also need a security token, but this may be optional. A security token improves your Internet banking security and enables you to handle more of your banking transactions online. With less than 4,500 Naira you can get a security token from your bank in Nigeria. GTB offers their security token for 3,000 Naira the last time we checked. Some banks do not require security token, you just use one time password. Inquire from your bank how to enable third party transactions on your internet banking platform. Then of course, you need a computer, it may be a desktop, laptop, or even a tablet. Make sure you have the latest anti-virus software and firewall installed. These will improve your security online. You may also buy software that enhances your browser security. Some banks also offer mobile banking. Internet banking is convenient and saves time; ask your bank for the service today. You can apply online at the bank’s website or visit the bank. Some of the leading Nigerian banks with online banking platforms include GTBank, Stanbic IBTC, Zenith bank, Diamond bank, UBA, and FirstBank. Some popular platforms from major International financial institutions include HSBC Internet banking, Barclay’s online banking, etc. Apply for Internet banking services at your bank.